The official figures in Turkey in the statistics on occupational diseases are very low: more than 100 times lower than could be expected. Frequent referrals by family physicians to official recognized hospitals for the diagnosis of occupational diseases are crucial. Backgrounds, attitudes and relevant behavior of the family physicians were studied with an online questionnaire. The response was 16.9 %. About half of the respondents had an occupational medicine certificate, but only one in six of the last group was active working as occupational physician. A detailed occupational history was practiced by 44% of the responding physicians. Only 20 % indicated a referral on suspicion of an occupational disease. One in twenty physicians actually discussed the health of the patient with an occupational physician. 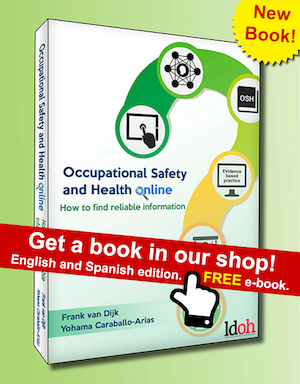 Those who were educated in occupational diseases were more active in taking a detailed occupational history, had more knowledge of the closest occupational disease hospital and expressed more often the need of more education about occupational diseases. Physicians who took a detailed occupational history discussed more often the patients’ problems with an occupational physician. The abstract is to find in PubMed, but the article is not yet indexed in PubMed. The article costs € 43 for 24 hr access, most regrettable.